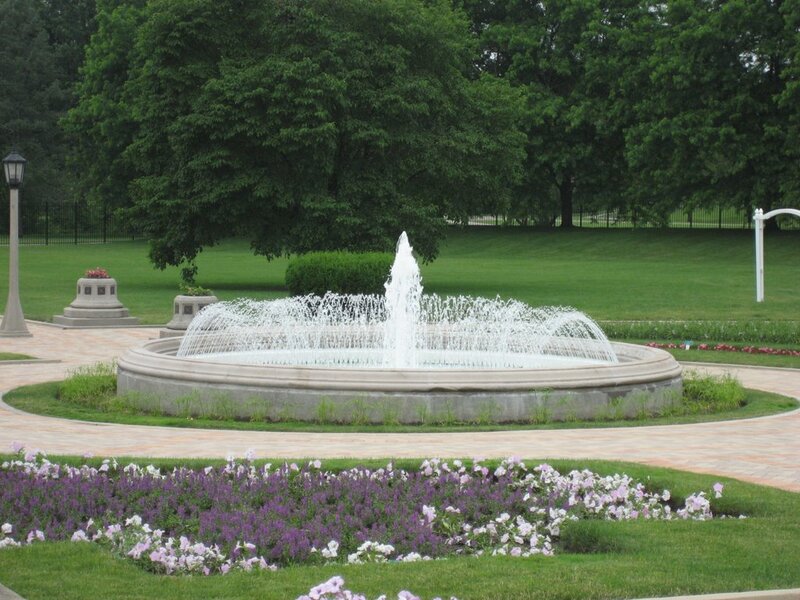 I'm always thinking about putting a water feature in the back yard and looking for ideas. How about this fountain for inspiration? 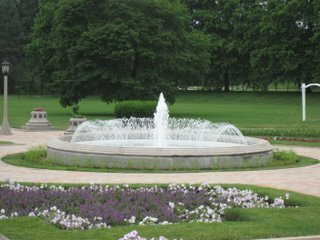 This is one of several fountains in the historic sunken gardens at Garfield Park. The picture is from earlier this spring. Maybe I should go with something a bit smaller, more in scale with the rest of my yard? But, I'm not sure I could dig a hole quite this big and it would just take forever to fill it with the garden hose. Plus, it might be a bit more formal than the rest of the garden. Oh, well, I'll keep looking! You're right! Why limit myself to these smaller fountains! !